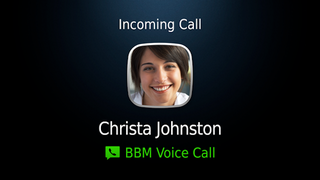 The last vestige of BlackBerry in the modern world, BBM, has a slick new feature that could stave off the overpopulation of BlackBerry's in recycling bins and possibly please the few suit wearing keyboard lovers left: the new BBM 7.0 has something called BBM Voice, a feature that basically offers free voice calling over Wi-Fi. BBM is more than just super fast and free text messaging now. It's free calls too.